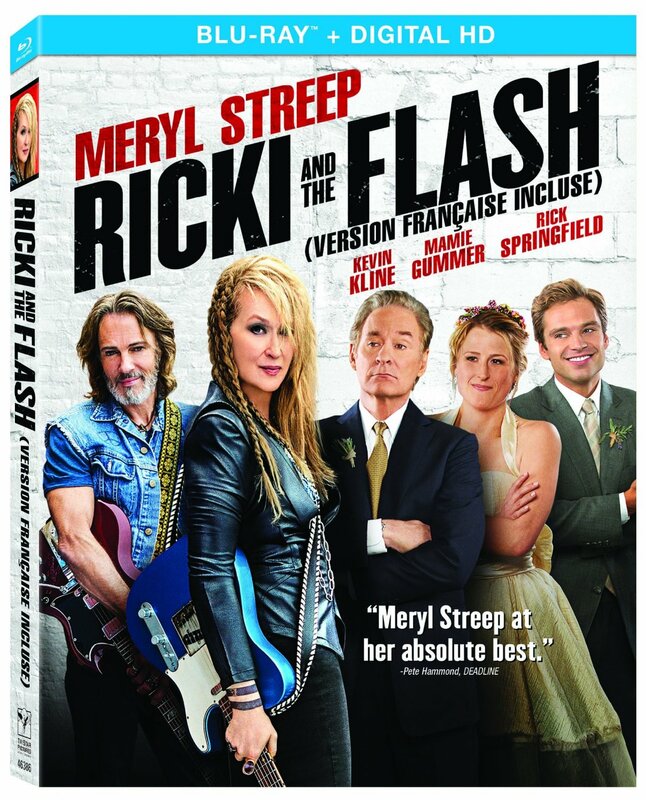 Today, Sony Pictures is releasing Ricki and the Flash on Blu-ray. Ricki Rendazo (Meryl Streep) is an aging and washed up rocker, who has grown estranged from her family. But when her ex-husband (Kevin Kline) invites her back home to help deal with their depressed daughter Julie (Mamie Gummer), Ricki starts to insert herself back into the lives of her adult children. Although the story mostly follows a predictable path, the film itself is thoroughly enjoyable to watch, bolstered by Diablo Cody’s engaging and often witty script. With fully dedicated performances from Meryl Streep and her real life daughter Mamie Gummer, who share some great chemistry together, Ricki and the Flash is an entertaining dramedy that allows its sharp dialogue and solid musical numbers to take centre stage, reaching a feel good ending. The Blu-ray includes deleted scenes, multiple featurettes and a cast photo gallery. Ricki and the Flash is 101 minutes and rated PG.